BUFFALO, NY. — According to BuffaloNews.com, to cite sources, the 2014-15 lineup for the University at Buffalo’s Distinguished Speakers Series includes comedian John Oliver, NBA legend Magic Johnson and Apple co-founder Steve Wozniak. 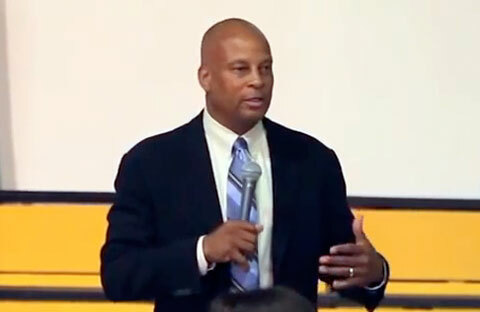 Rounding out the list of speakers are authors Cheryl Strayed, Wes Moore and oceanographer Robert Ballard. 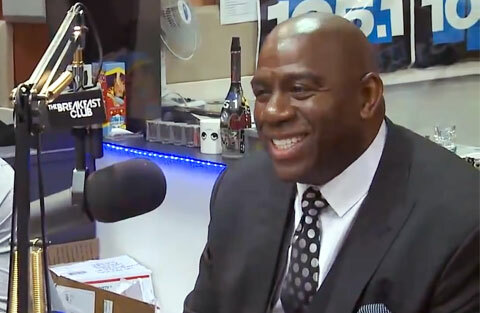 Photo shows NBA legend, Magic Johnson, speaking Feb 2014 on the Breakfast Club Power 105.1. DALLAS, TX. — NFL and SMU Hall of Famer, Eric Dickerson, will be the featured speaker at the Third Annual Fit and Faithful Living Expo in Dallas on Saturday, September 13, 2014, from 4:00 p.m.-8:00 p.m. The event takes place in the Hughes-Trigg Student Center/Theater Room at Southern Methodist University at 140 Dyer in Dallas. Source: North Dallas Gazette. 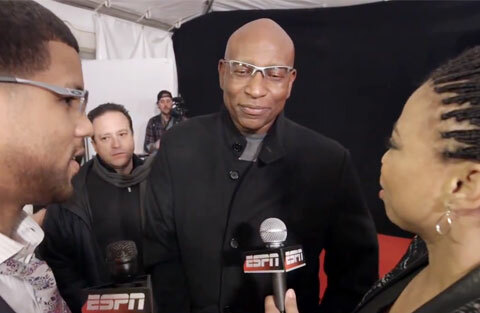 Photo shows Eric Dickerson speaking on Feb. 2, 2014 with ESPN’s Michael Smith and Jemele Hill . OVERLAND PARK, KS. 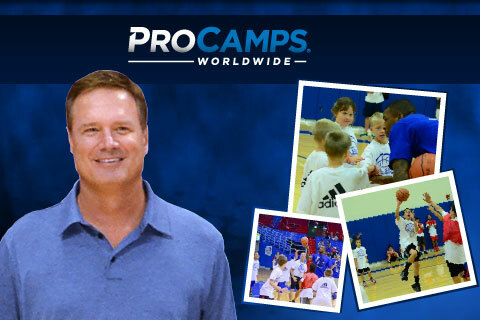 — Join 2008 National Champion, 10-time Big XII Champion and 2012 Coach of the Year, Bill Self, for basketball instruction and fun at the 2014 Academy Sports + Outdoors Bill Self Basketball ProCamp with host Andrew Wiggins. The dates are August 9-10 at Shawnee Mission West High School. Wiggins will be at the camp on August 10th. Time: 9:00 AM to 12:00 PM for boys and girls grades 1 – 12. Cost: $149. Source: Procamps.com. Photo shows Bill Self, Kansas basketball head coach and 2012 Coach of the Year. 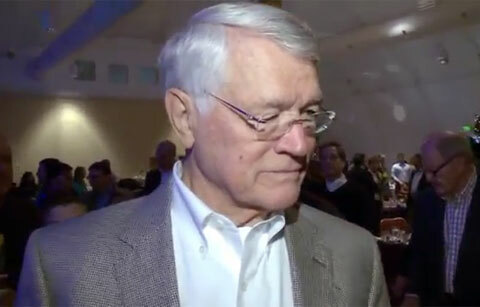 AMERICUS, GA. — Former NFL coach and Americus native, Dan Reeves, will be the keynote speaker at the Boys and Girls Club’s Steak and Stake Charity Dinner on July 22 held at the Georgia Southwestern State University Student Success Center Storm Dome. 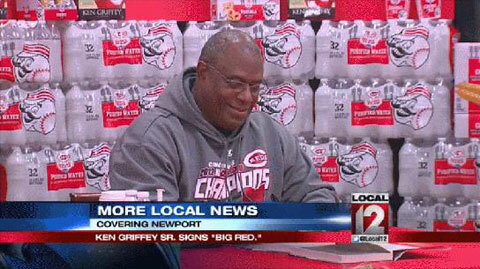 A Silent Auction will begin at 5 p.m. followed by a dinner and program at 6 p.m. Performances by the Boys and Girls Club’s own 2014 Americus Idol winner, Heather Grinolds, and the 2014 Americus Idol first runner-up, Regina Thomas will be featured. Source: Americus Times Recorder. Photo shows former NFL coach Dan Reeves speaking on April 18, 2014 to Fort Wayne YMCA. 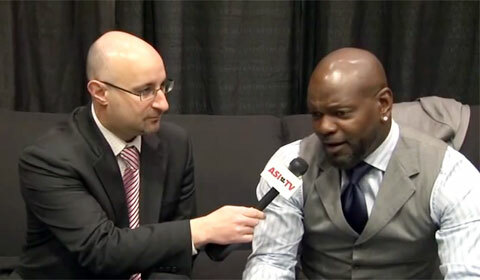 CHANTILLY, VA. — Former Dallas Cowboys wide receiver, Michael Irvin, will appear at the CSA Autograph & Memorabilia Show at Dulles Expo Center at the Chantilly Shopping Center in Chantilly on Saturday, July 12, 2014 from 1:00-2:00 pm to meet fans and sign autographs. 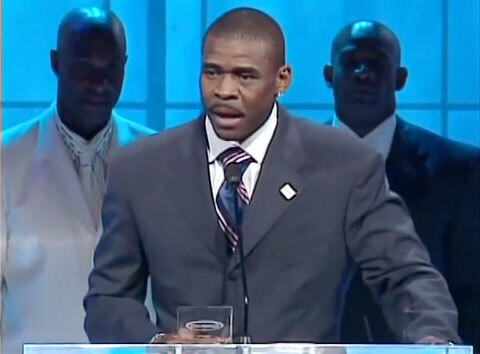 Photo shows former Dallas Cowboys wide receiver, Michael Irvin, delivering an inspirational speech after being honored at the 2007 Sports Spectacular charity fundraiser event.